(New York) - Nepali authorities should ensure that they comply with Supreme Court rulings and international standards before appointing new transitional justice commissioners to address conflict-related violations during the 1996-2006 civil war, Human Rights Watch said today. "The commissions will fail again unless Nepal ensures that the law provides for proper justice for serious violations during the conflict," said Meenakshi Ganguly, South Asia director. "For 12 years and counting, Nepal's rulers have tried to railroad conflict victims into accepting a transitional justice process designed largely to protect those responsible for abuse." In June 2018, Attorney General Agni Kharel consulted with victim groups and human rights organizations including Human Rights Watch to discuss transitional justice mechanisms and universal jurisdiction, under which courts in one country can prosecute anyone for the most serious crimes, committed anywhere in the world - meaning someone who committed torture in Nepal could be prosecuted in the United Kingdom or South Africa. However, the government failed to incorporate recommendations in its proposed amendments to the law to address the many gaps in Nepali law that make it difficult to prosecute international crimes such as torture and crimes against humanity, or to pass the amended law. If Nepal's transitional justice mechanisms fail to adopt proper standards, those accused of international crimes such as torture and crimes against humanity will remain vulnerable to prosecution abroad under universal jurisdiction. Over 13,000 people were killed and 1,300 disappeared during Nepal's civil war, fought between the insurgent Communist Party of Nepal-Maoist (CPN-M) forces and the government. The armed conflict lasted a decade and ended in 2006 with a Comprehensive Peace Agreement that included a commitment to provide justice to victims of human rights abuses. In 2015, the two justice commissions were formed, receiving over 60,000 complaints. However, despite several extensions, the commissions have failed to make significant progress in their investigations over the last four years. Before the commissions even began their work, the Supreme Court in 2015 struck down key provisions of the law governing them, finding that it could be used to provide amnesties to those responsible for the gravest abuses. The Office of the United Nations High Commissioner for Human Rights published a technical note listing ways in which the law needed to be revised to meet basic international standards and Nepal's obligations under international law. Yet, years after the Supreme Court's landmark judgment, this law has yet to be amended. The proposed amendments in 2018 included some positive efforts to ensure reparations, but permitted the two transitional justice commissions to authorize prosecutions without strengthening the commissions themselves, proposed a special court without clear guidelines on impartial investigations, and included a section permitting non-custodial sentences for the most serious crimes. 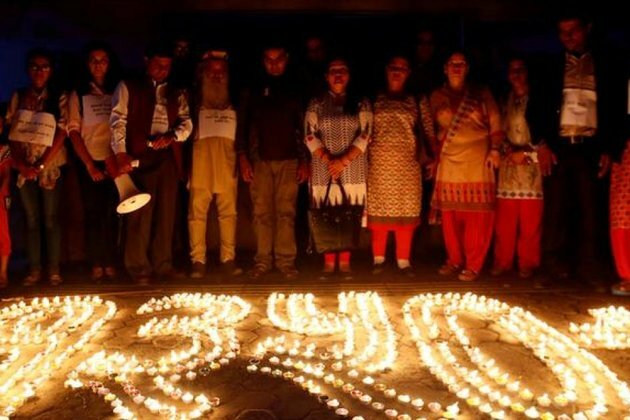 In January, nine foreign embassies in Nepal and the UN issued a joint statement calling for meaningful consultations with victims and a process that would put victims' interests first and uphold international law standards. Instead of amending the law, the government allowed the previous commissions to lapse and then started a hasty process to appoint new members, allowing only one week for nominations and one day for consultations with victims' groups. To gain the trust of victims and ensure credibility under international law, the government should ensure that the law is revised to meet international standards and appoint independent commissioners. "Another attempt at whitewashing egregious crimes to dodge universal jurisdiction would be a serious injustice to conflict victims," Ganguly said. "Nepal should take immediate steps to uphold its legal obligations with a transitional justice system that meets international standards."